Who is Arsenio Hall? His Son, Wife, Age, Height, Is He Gay? Home Media Personalities Who is Arsenio Hall? His Son, Wife, Age, Height, Is He Gay? He is one of the funniest beings to have graced the comedy constituent of the American entertainment industry. Arsenio Hall was known for his rib cracking disposition always portrayed in the comedy roles he played. 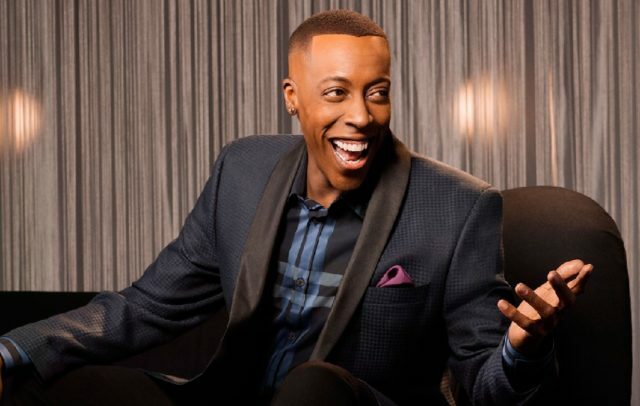 He is not just a comedian, Hall is an actor and a former talk show host for his popular show “The Arsenio Hall Show”. While many perceive him as an ordinary comedian, there is so much to know about the black American. The public never got enough of Hall during his young days and even to date, he is still relevant in the industry. Hall was born on February 12, 1955, in Cleveland, Ohio, to his Christian parents Fred and Anne Hall. For Arsenio, comedy, and showbiz have always been a way of life. As a child, he would put up shows and perform as a magician. Being a performance guru did not stop his parents from sending him to school. Young Hall attended Warrensville Heights High School and also John F. Kennedy High School. For his tertiary education, he studied at Ohio University and then finished his education at Kent State University, where he continued to nurse his inborn comedy inclination. He finished school in 1973 and it was time to make a move to actualize his dreams. In 1984, Hall who was in search of a headway, he moved to places like Chicago and Los Angeles; places where he was served a little chink of a platform as he made little appearances in TV programmes, kicking off his career. Some of these opportunities were his little appearances in American music-dance TV program Soul Train, and a sidekick role for Alan Thicke in a talk show Thickie of the Night. His major tasks started to surface from 1987 when he replaced comedienne Joan Rivers on The Late Show in a revamp quest by The Fox network. Hall who was among the many hosts employed to take the show to next level after disappointing episodes of poor ratings stood out amongst them all. His unparalleled and unique approach met the expectations of The Fox network executives as well as the general public, projecting his image in the industry. Arsenio soon utilized this public affection and created his eponymous show; The Arsenio Hall Show. The show which became popular for the Woof! Woof! chant had a lot of notable guests including Bill Clinton, Pula Abdul, En Vogue, and Diana Ross. The show was just one of the divisions of his talents. Arsenio also featured in many movies including, Coming to America where he played the sidekick to Eddie Murphy, the crowned prince of fictional tribe Zamunda. He also starred in Amazon Women on the Moon. For one of his outstanding movie roles, he won the NAACP Image Award for Outstanding Supporting Actor. Hall made several other appearances in the events constituents including the MTV Video Music Awards. There are no marriage records of Arsenio Hall on the internet as the comedian has been very private about his personal life. However, Hall has a son named Arsenio Hall Jnr. 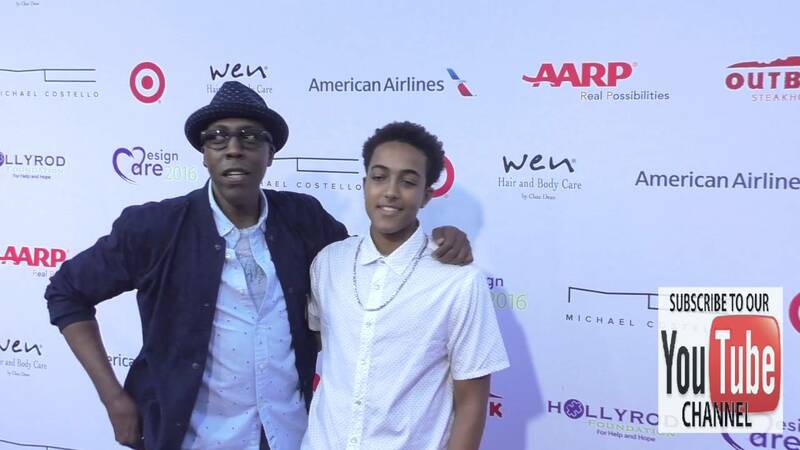 Arsenio Hall and Arsenio Hall Jnr. Jnr who was born in 1999 to the comedian was a product of his relationship with his then-girlfriend, Cheryl Bonacci, his former personal manager. The two split after being together for years. Apart from Bonacci, there are no confirmed reports about any of his romantic relationships although the comedian was linked to Pula Abdul for some years. For a celebrity who has not had many female relations or gone public about his relationships, it is only normal for the prying media to sniff around for more information. Hall’s extensive private life gave rise to rumors and speculations about his sexuality with many sources questioning whether he is gay or straight. As you can rightly guess these speculations definitely got to the hearing of the comedian who has debunked these rumors several times. Other rumors associated with Arsenio is that which had to do with him being in detox. The rumors circulated all over the internet at the time had it that the comedian who was greatly marred by drugs and alcohol addictions was in detox at Betty Ford, a chemical dependency recovery center. But again, he came out to trash the rumors. The brown-eyed talk show host can pass for a tall man when it comes to his height. Arsenio Hall stands at a tall height of 5ft 11in and a proportional weight of 75 kg which is equivalent to 165 pounds. His long feet fit into size 10 (US) shoes which is also equivalent to 44 (EU).